Riz Ahmed Wife, Girlfriend, Height, Body Measurements, Is He Gay? Home Actors Riz Ahmed Wife, Girlfriend, Height, Body Measurements, Is He Gay? Riz Ahmed is a British actor, activist and rapper. As a performer, he goes by Riz MC. He has been nominated for a Screen Actors Guild Award, a Golden Globe Award, three British Independent Film Awards and two Emmy Awards. He won the Emmy Award for Outstanding Lead Actor in a Limited Series or Movie for his role in the show, The Night Of. Right now, Riz Ahmed is experiencing a surge in popularity but prior to his commercial success, he was known for his role in several independent movies including Ill Manors, The Road To Guantanamo, The Reluctant Fundamentalist, Four Lions, Shifty and Trishna. Thanks to his hard work and perseverance, he got his breakout role when he was cast in the 2014 film Nightcrawler, which also starred Jake Gyllenhaal, Rene Russo and Bill Paxton. He later appeared in City Of Tiny Lights, Una, Jason Bourne and Rogue One: A Star Wars Story. Rogue One: A Star Wars Story is arguably the film role that turned Riz Ahmed into a household name with his character, Bodhi Rook. In the Star Wars universe, Bodhi Rook was a defected Imperial pilot who aids the Rebel Alliance in their cause to get the plans for the Death Star. In The Night Of, he played Nasir Khan, a university student of Pakistani-American descent who is accused of murdering a girl in New York City. The show and his portrayal of Nasir Khan was met with universal applause and critical acclaim. Shortly after, he guest starred in the HBO series, Girls. He was nominated for Emmy Awards for both roles. When he won the Emmy Award for The Night Of, he became the first Muslim and the first Asian to win in the ‘Outstanding Lead Actor in a Limited Series or Movie’ category. 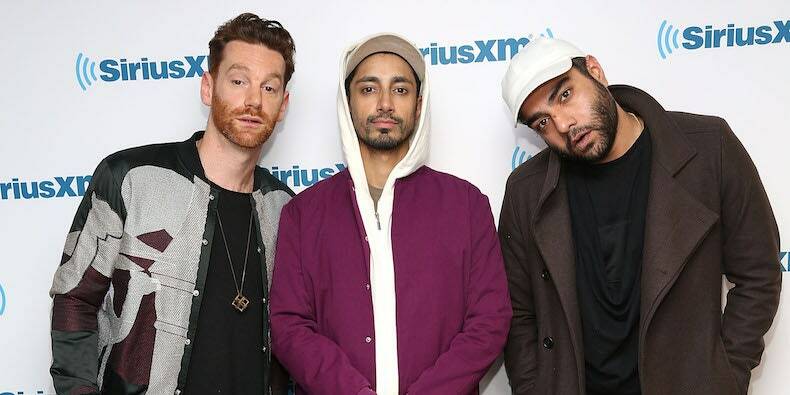 As previously mentioned, Riz Ahmed is a rapper; for this side of his profession, he is a member of the Swet Shop Boys, who are not only commercially successful but also acclaimed and respected members of the hip-hop community. He was also featured on the Hamilton Mixtape, on the song “Immigrants, We Get The Job Done”. The song not only landed him a top position on the Billboard 200 but also an MTV Video Music Award. Beyond music, film and television, he is also known for his activism and his attempts to raise awareness for Syrian Refugees and the Rohingya people. He has also seriously advocated for more representation at the British House of Commons. All of his efforts were rewarded when he was listed by Time Magazine as one of the 100 most influential people in the world. Rizwan Ahmed was born on the 1st of December, 1982 to a British Pakistani family in Wembley, London. During the partition of India in 1947, his grandparents relocated from India to Pakistan. His parents, who are of Muhajir descent, moved from Karachi in Pakistan to England in the 1970s. Riz comes from an exceptional lineage as his ancestor, Sir Shah Muhammad Sulaiman, was the first Indian Chief Justice of Allahabad High Court in Uttar Pradesh during the colonial era. The young actor received a scholarship to attend Merchant Taylors’ School, Northwood, a private day school for boys in the United Kingdom. He later graduated with a PPE (Philosophy, Politics and Economics) degree from Christ Church, Oxford University. He also studied acting at the acclaimed drama school, Central School of Speech and Drama. Other notable alumni of Central School of Speech and Drama include Judi Dench, Laurence Olivier, Kit Harington, Martin Freeman, Graham Norton, Andrew Garfield and Vanessa Redgrave. Riz Ahmed’s Wife & Girlfriend: Is He Gay? While Riz Ahmed has been part of the entertainment industry for a while, he only began to gain popularity recently. During that time, he has used his platform to spread awareness about issues that are important to him. Which is probably why he does not discuss his personal life, so it does not distract readers from the importance of the issues he is trying to address. He certainly would not be the first celebrity to do so. That being said, because Riz has refused to address his sexuality and speak on his relationships in public, media outlets are bound to speculate about this. While many have wondered if he is gay or straight, as of now, no one knows because it has not been addressed publicly. However, he has shared a thing or two with many of Hollywood’s most beautiful ladies, including Kate Hudson, as his love interest. If he is currently in a relationship or married, he has taken great efforts to keep this under wraps as no one knows if he has a girlfriend or wife. But this kind of secrecy is usually shortlived. Riz Ahmed’s height is currently listed at ‎5 feet 8 inches (1.72m) and he weighs 70kg (154lbs). He is in an enviable shape as one is often required to be when in Hollywood. His other measurements include chest – 38 inches, waist – 30 inches and Biceps – 13 inches.